Eve Blau is Adjunct Professor of the History of Urban Form and former Director of the Degree Programs in Architecture at the Harvard University Graduate School of Design. Her books include The Architecture of Red Vienna, 1919-1934 (1999), Project Zagreb: Transition as Condition, Strategy, Practice (2007), Urban Form: Städtebau in der postfordistischen Gesellschaft (2003), Shaping the Great City: Modern Architecture in Central Europe, 1890-1937 (1999), Architecture and Cubism (1997), Architecture and Its Image (1989), and Ruskinian Gothic (1982). Before coming to Harvard she was Curator of Exhibitions and Publications at the Canadian Centre for Architecture, and Editor of the Journal of the Society of Architectural Historians. Her books have received numerous awards, including the SAH Alice Davis Hitchcock, Spiro Kostof, Architectural Exhibition Catalogue Awards, the Austrian Cultural Institute Prize, and AIA Citation for Excellence in International Architectural Book Publishing. Her current research is concerned with urbanism after socialism in Europe. She is currently directing a research project on Baku: Oil and Urbanism. 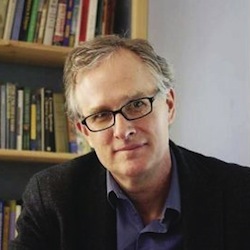 Jon Christensen is an adjunct assistant professor, journalist-in-residence and senior researcher in the Institute of the Environment and Sustainability, the California Center for Sustainable Communities, the Department of History, and the Center for Digital Humanities at the University of California, Los Angeles. He is also part of the team at Stanford's Spatial History Project. He is editor of Boom: A Journal of California, a quarterly magazine published by the University of California Press that brings scholars, researchers, journalists, writers, artists, photographers, policymakers, advocates, and the public into common conversations about California in the world. 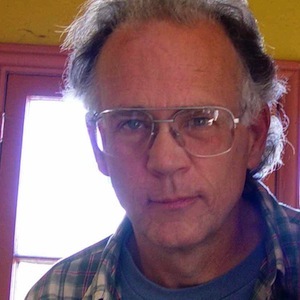 Jon has been an environmental journalist and science writer for more than 30 years. His work has appeared in The New York Times, Nature, High Country News, and many other newspapers, magazines, journals, and radio and television shows. He is currently finishing a book entitled Critical Habitat: A History of Thinking with Things in Nature, leading a digital humanities project on nature in cities, and directing a large collaborative project to crowdsource a new, public environmental history of the San Francisco Bay Area with libraries, museums, archives, nonprofit organizations, scholars, researchers, the media, and the public during the Year of Bay in 2013. Jon was a Knight Journalism Fellow at Stanford in 2002-2003 and a Steinbeck Fellow at San Jose State University in 2003-2004, before returning to Stanford to work on a Ph.D. in History. 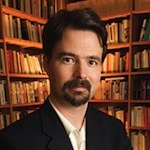 Zephyr Frank is associate professor of Latin American History at Stanford University, and Director of the Spatial History Project, Director of the Center for Spatial and Textual Analysis, and the principal investigator for theTerrain of History project. This project is an international collaborative project that seeks to reconstruct and analyze the social, cultural, and economic spaces of nineteenth-century Rio de Janeiro. Professor Frank has been conducting this research for the last eight years.His recent publications include co-editing a book titled From Silver to Cocaine: Latin American Commodity Chains and the Building of the World Economy, 1500-2000 (2006). Frank received the Dean's Distinguished Teaching Award at Stanford in 2008. 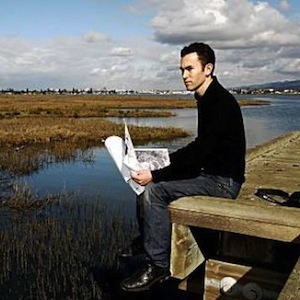 Robin Grossinger is a Senior Scientist at the San Francisco Estuary Institute, where he directs SFEI’s Resilient Landscapes program. For over twenty years, Robin has analyzed how San Francisco Bay and other California landscapes have changed since European contact, using these data to highlight opportunities and guide landscape-scale restoration strategies. The innovative work of Robin and his colleagues to synthesize history and science has been acclaimed for helping scientists, managers, and the public appreciate both the dramatic transformation and the impressive resilience of the state's ecosystems. In 2012, Robin’s Napa Valley Historical Ecology Atlas was published by the University of California Press and he received a Local Hero award from Bay Nature magazine. Grossinger received “Most Communicative Map” Award for Ecological Change in the San Francisco Estuary, at the International ESRI GIS Conference in 1997. He received his M.S. in Marine Sciences from University of California, Santa Cruz. 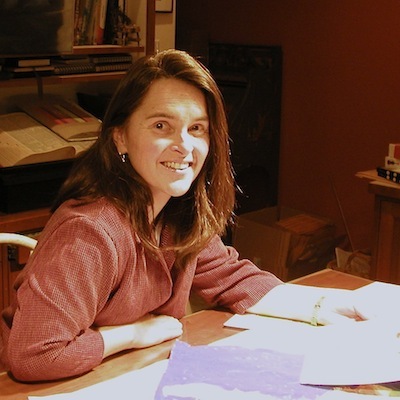 Katharine Harmon is the author of two books on creative mapping: You Are Here: Personal Geographies and Other Maps of the Imagination, and The Map as Art: Contemporary Artists Explore Cartography. She has curated several gallery exhibitions of artists' maps, including two in New York and two in London, and co-curated “The Map as Art" at the Kemper Museum of Contemporary Art in Kansas City. Harmongraduated with honors from Duke University, studied publishing procedures at Radcliffe College, and was a recipient of the Oscar Dystel Fellowship in Book Publishing, resulting in a master’s degree from New York University. She manages Tributary Books, a book development company in Seattle, and has authored, edited, and/or produced over a dozen titles. 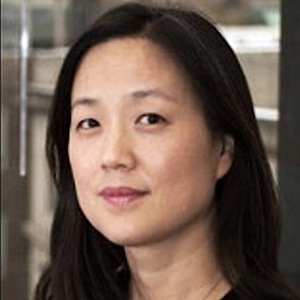 Annette M. Kim is associate professor at MIT's Department of Urban Studies and Planning. She researches the spatial processes of major institutional change, particularly the reconstruction of property rights and planning paradigms in rapidly urbanizing regions. Her publications include studies of the first generation of private real estate developers in Vietnam, the political struggle for land and compensation on the urban periphery, and the contest for sidewalk space in the midst of migrant street vending and populist urbanism. Currently, she directs the MIT research group SLAB, which is developing methods of spatial ethnography and critical cartography in order to re-conceptualize urban space and find more inclusive and humane ways to design and govern the 21st century city. Kim is author of the forthcoming book, Sidewalk City: Re-mapping Public Space in Ho Chi Minh City, Vietnam (2014) from the University of Chicago Press. Professionally, she has been an architect of affordable housing, a construction project manager, and jury member of international urban design competitions. She has also served as a consultant to the United Nations Centre for Human Settlements, the World Bank, African and Asian governments, as well as community-based NGOs. Kim received her Ph.D. from the University of California, Berkeley in City and Regional Planning as well as a concurrent M.A. in Visual Studies; a Master in Public Policy from Harvard University; and a B.A. in Architecture and Studio Art from Wellesley College. 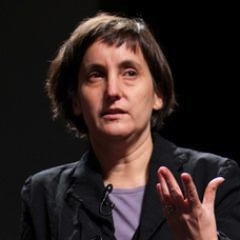 Laura Kurgan is an Associate Professor of Architecture at the Graduate School of Architecture Planning and Preservation at Columbia University, where she directs the Visual Studies curriculum, the Spatial Information Design Lab and is Co-Director of the Advanced Data Visualization Project. She is the author of Close Up at a Distance: Mapping, Technology, and Politics (Zone Books, 2013). Her work explores things ranging from digital mapping technologies to the ethics and politics of mapping, building intelligence, and the art, science and visualization of big and small data. Her work has appeared at the Cartier Foundation in Paris, the Venice Architecture Biennale, the Whitney Altria, MACBa Barcelona, the ZKM in Karlsruhe, and the Museum of Modern Art. She was the winner of the United States Artists Rockefeller Fellowship in 2009. 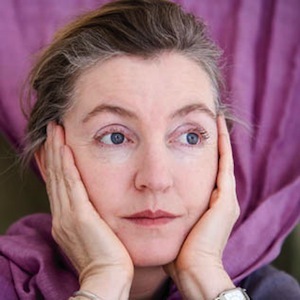 Rebecca Solnit is a prolific writer, with thirteen books and numerous essays in publication, including A Paradise Built in Hell: The Extraordinary Communities that Arise in Disaster, and most recently, Unfathomable City: A New Orleans Atlas. Solnit's awards include two NEA fellowships for Literature, a Guggenheim Fellowship, and a Lannan literary fellowship. In 2004, Solnit was given a Rave Award by Wired Magazine for writing on the effects of technology on the arts and humanities, and in 2010, the Utne Reader named Solnit one of the "25 Visionaries Who Are Changing Your World." Solnit received a master's degree in journalism from UC Berkeley. Denis Wood is an artist, writer, cartographer, and author of Everything Sings, a book of poetic maps. From 1974 to 1996, Wood taught environmental psychology and design at the College of Design at North Carolina State University, where he was Professor of Design and Landscape Architecture. During these years he wrote extensively about film and maps. Author of The Power of Maps (Guilford Press, 1992), Wood also curated the award-winning Cooper-Hewitt National Museum of Design exhibition of the same name (1992), which he subsequently mounted at the Smithsonian Institution in Washington (1994).